The official opening for the Global Tourism Resilience Center is planned on January 20, and the center is busy already reaching out to Kenya. 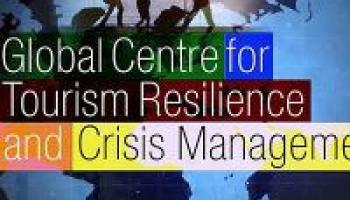 In a statement today Crisis Management Centre founder, the Hon, Ed Bartlett already condemns the recent terrorist attack that was launched the Dusit 2 luxury hotel in Kenya’s capital Nairobi on Tuesday, speaking for the Global Tourism Resilience Center. “Attacks like these threaten the lives and live hoods of countries globally and we condemn them. Our prayers and thoughts are with the people of Kenya who have been affected and deeply impacted,” said Minister Bartlett. CNBS News reported that the attack Tuesday came three years to the day after al-Shabab extremists attacked a Kenyan military base in neighbouring Somalia, killing scores of people. The al Qaeda-linked group objects to the presence of Kenyan troops in the turbulent Horn of Africa nation. As at today [January 16, 2019] CNN indicated that an American and a Briton were confirmed to be among at least 14 people killed in a terrifying attack at the hotel complex in Nairobi. Minister Bartlett has also indicated that the Centre stands ready to support Kenya in their recovery programme, “These acts of terror have also brought to the fore the urgent need for strategic infrastructure and mechanisms to be able to detect, manage and recover and this is where the Global Resilience Centre comes in and will play its part in this regard. The Global Tourism Resilience and Crisis Management Centre, which will be housed at the University of the West Indies Mona, was first announced during the United Nations World Tourism Organization’s Global Conference on Jobs and Inclusive Growth: Partnerships for Sustainable Tourism, held in Montego Bay last November, as a response to political turmoil, climatic events, pandemics, shifting global economies as well as crime and violence which can be devastating to travel and tourism. The official launch is scheduled for January 20, 2019, during the Caribbean Travel Marketplace, which will be held at the Montego Bay Convention Centre.